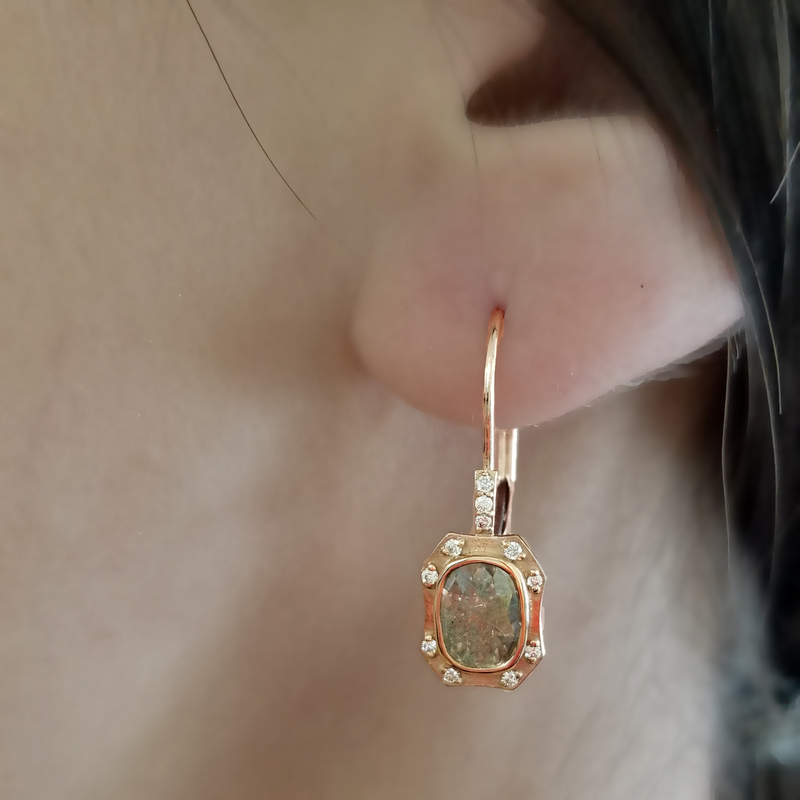 One of a kind rustic rose cut diamond earrings inspired by Portland’s own St. Johns Bridge. 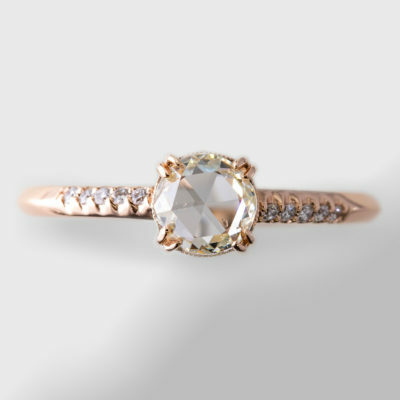 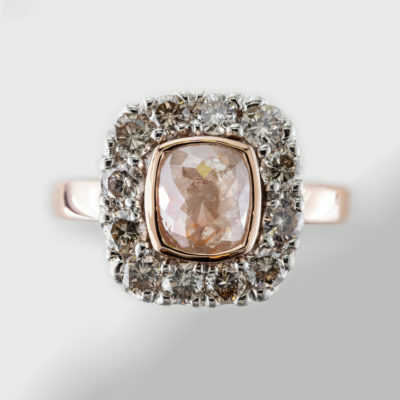 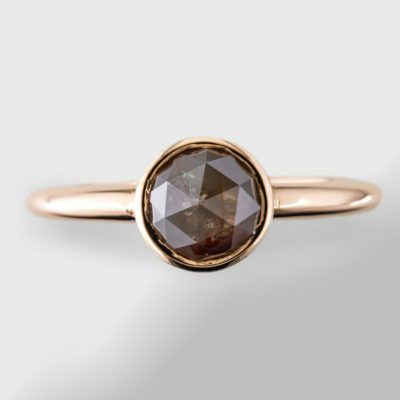 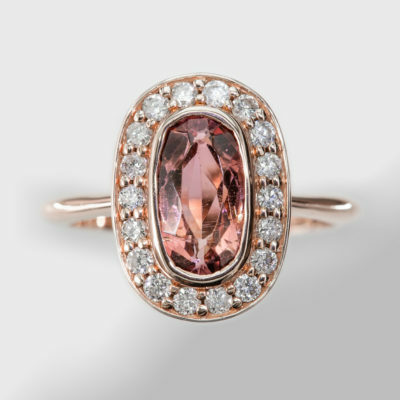 The rustic rose cut diamonds have a slight greenish tint, similar to the oxidized copper of the St. Johns Bridge, and the profile resembles the arches of Cathedral Park. 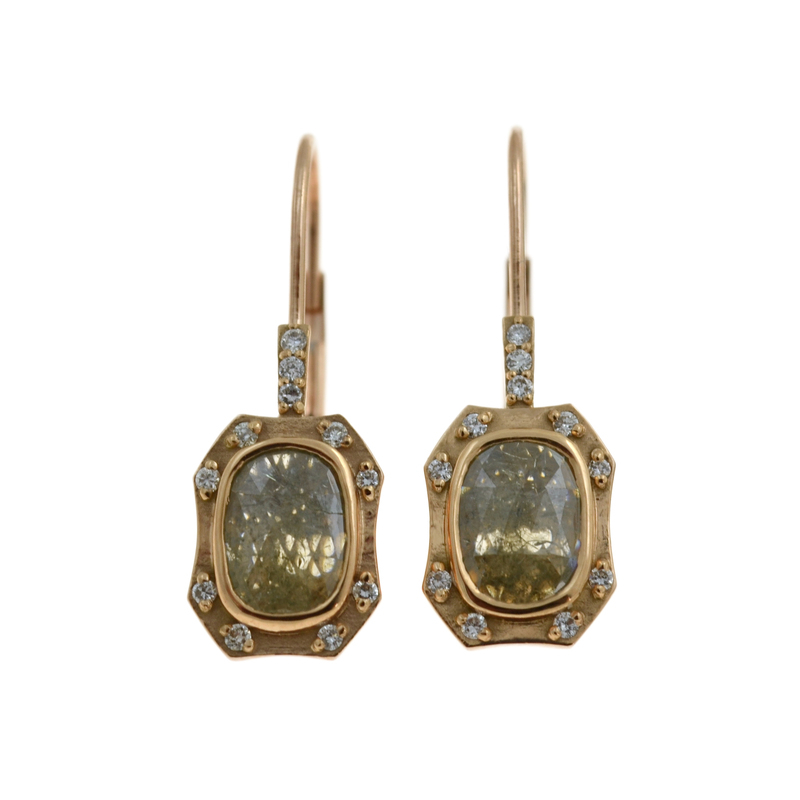 Each cushion shaped center diamond measure approximately 7.4 mm x 5.6 mm. 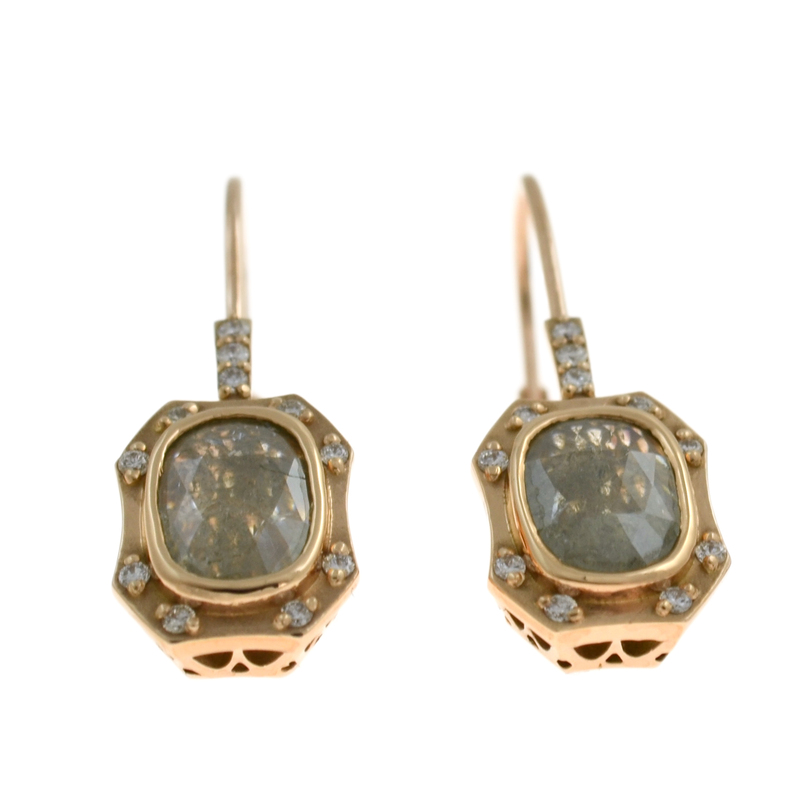 Each octagonal shaped earring has 8 diamonds set in the corners, and 3 diamonds set in the lever back ear wires.